Toyota will be reducing the emissions produced at its Miyata Plant in Kyushu, Japan, and the company plans to use hydrogen to accomplish this endeavor. Recently, wind and solar power have begun being used to generate hydrogen in the Fukushima Prefecture. Toyota believes that this hydrogen holds a great deal of potential in terms of energy generation. The use of hydrogen fuel will allow Toyota to reduce the emissions produced by the Kyushu facility. The automaker is expected to make use of fuel cell forklifts, which produce no harmful emissions of any kind. It is expected that these forklifts will allow Toyota to cut emissions by approximately 50%. 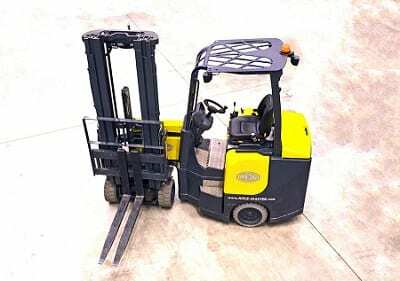 Hydrogen fuel cells have become quite popular for such uses, quickly replacing traditional lead-acid batteries that have long been used to power forklifts. The hydrogen used to power fuel cells will be generated through the use of solar energy. This energy will come from systems located at the Kyushu facility as well as systems located elsewhere in Japan. Toyota plans to begin implementing fuel cell forklifts at the Kyushu facility in March of 2017. The automaker also has plans to install stationary fuel cell systems at the facility next year. These hydrogen fuel cells will provide some of the electrical power needed to operate the facility. Toyota already has extensive experience with hydrogen fuel cells, as the company has been developing this technology for some time and plans to use fuel cells to power future vehicles. Hydrogen fuel cells have been used in various industrial sectors in the past, but have recently become somewhat popular in the transportation sector. The energy systems are now growing in popularity for purposes beyond transportation and industrial operations. In Japan, these energy systems are being used to provide electricity and heat to homes in certain parts of the country. Businesses are also beginning to use these energy systems as primary providers of electricity.